About fifty years ago when I started my journalistic career with the now defunct Sun newspaper the then Justice Minister K.W Devanayagam asked me; why are the Quazi Courts so corrupt? Why don’t the community reform it to prevent divorces and misery to families? I didn’t know what to say, but passed his concern to Abdur Razak Jamali, Mashood Alim and Noori Hazarath- all prominent members of All Ceylon Jamiyyathul Ulema-ACJU. Fifty years later today where are we? The situation is worse manifold? 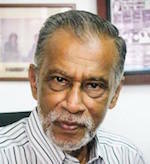 Realizing the need to review the Muslim personal law and reform the system of Quazi Courts, former Minister of Justice and Law Reform Milinda Moragoda appointed a committee chaired by Justice Saleem Marsoof in July 2009 to propose amendments to upgrade Quazi Courts. After dilly dallying for nine long years, due to ACJU manipulations as accused by many, Saleem Marsoof committeehas submitted its report on 18 July 2018 to the government. Now that the report wasreleased isn’t it time for all including ACJU- to help implement its recommendations .Some suspect that this long delay on the part of the president and prime minister is due to ACJU opposition as they wrongly believe that the ACJU controls the Muslim vote banks. Thecommunity has not given any mandate to ACJU which has arrogated itself the power to dictate terms to legal experts and intellectuals on a matter in which it has no monopoly of expertise? According to reports the ACJU has strongly opposed any amendments to the Act stating that it is of divine origin and “perfect in the present state”. Thus created dissent and division within the Committee. Under the circumstance, the community cannot expect ACJU, which has emerged as one man show of its controversial president, to help implement these recommendations. However implementing these recommendations is essential in the interest of the community. So far, due to ignorance, he Muslim community has failed to give the rights and privileges given by Islam to women. Time has come for Muslim women too to play their role and make their contributions to families, community and the country, within the framework of Islam. As it is now MMDA is not strictly monitored by the State and therefore it is misused/misapplied by ulemas to make girls victims as they are given in ‘marriage’ easily to fun-seeking foreign ( mostly from the Gulf) men mulch older and, in some cases married to many others back in their countries. ACJU is only an association of those who have gone to Schools of Theology and therefore has no authority to speak for the entire community. It has no power to dictate to the women folk who are being enlightened in the electronic era. The ACJU, formed in the mid 1920s when religious people, though not well known scholars, were respected due to their impeccable honesty, sincerity, integrity and piety. The situation has changed today with moulvis blending business and religion becoming pawns in the hands of many. On the other hand the ACJU was not given the right to represent the community and the enlightened elements in the community oppose many policies of ACJU. The ACJU claims that it is an organization of ulemas- religious scholars. The question is most so called ulemas passed out from out dated madrasas remain unqualified to deal with burning current issues which strikes at the very root of the community’s existence. I remember somewhere in 1970s respected Islamic scholar Dr M.A.M. Shukry spoke about Islam’s contribution to humanity during an iftar function in Colombo. The then Iraqi Ambassador Thowfeek Abdul Jabbar asked me about Dr Shukry. When I asked him why, the ambassador said “Dr Shukry spoke so well on Islam in fine classic Arabic which he, as an Arab, could not speak. Now the question is why such eminent Islamic scholars have no place in the ACJU? In fact he deserves to be ACJU president.The ACJU today, has become a liability on the community in view of its controversies and lost the confidence of most in the community. For example deviating from the goals of founding fathers, ACJU politicized the organization pitting the community against the other communities. The controversy over halal certificate business was exploited by anti-Muslim forces to unleash violent campaign pitting Sinhalese against Muslims. ACJU president’s visit to Geneva to defend the Rajapaksa government on the issue of war crimes against Tamils during the final stage of the war turned the Tamils against the Muslim community. In 2013 more than 20 people including ulemas from the ACJU branch in Kinniya sighted the moon and tried to pass the message. However they failed to contact ACJU and forced the community to fast while people in and around Kinniya observed Eid Al Fitr. People in the east were so fed up that they decided to start their own ulema association. Controversial statements such as describing face cover as compulsory in Islam without citing Holy Quran nor Hadees misled non-Muslims and harmed the community. Few years ago on the repeated advise and appeal of ulemas many Muslims invested their hard earned millions in Ceylinco Finance Company which went bankrupt turning investors overnight into penniless. Is this the work of Ulemas? Is this the work of ACJU? The list of wrong doings continue. People were sick and tired of controversies. During last Eid al Fitr moon sighting controversy ACJU top official was escorted to his vehicle to prevent attack on him. However the environment in the ACJU is such that most ulemas were afraid to speak out as they fear serious repercussions. They have families to support and can’t afford to lose their jobs. Their mouths are sealed with incentives and blackmail. Thus the need of the hour is to thoroughly reorganize the ACJU to bring in non- controversial ulemas who are respected by the people. Ridiculous state of affairs of the politically bankrupt and sinking Muslim community is such that fourteen civil society organizations led by ACJU met President Maithripala Sirisena four days after violent attacks on Muslims in Digana and Akurana. Instead of showing the community’s anger the delegation thanked president Sirisena for working for communal harmony while Muslims whose houses were burnt to ashes and lost all their belongings due to government’s failure to protect them were in tears in Akuranaand other places with no cloth to change or no food to eat. need to work to the welfare of community interests. Often their actions only seem to be degrading rather than focusing on the cohesiveness of Islamic brotherhood. Under the circumstance the only inevitable option is for independent religious scholars to come forward and help implement changes recommended in the Saleem Marsoof report. Reiterating this columnist Ameer Faaiz had this to state in his article in the website Colombo Telegraph that Reforms proposed in the Justice Marsoof’s Committee’s Report are within the limits of Islamic law (Shariah). The diabolical actions of the ACJU are further highlighted by the fact that in 1951, its members, as the premier council of theologians, protested against the enactment of the Muslim Marriage and Divorce Act in the vicinity of the Old Parliament near Galle Face on the basis that they were not consulted despite repeated requests for hearing from the then Minister of Home Affairs. Blissfully forgetting that, now the very same pseudo Mullas or their offsprings are crying foul, falsely alleging that it is Shariah and thus cannot be amended. The ACJU has unleashed their stalwarts to abuse and lie from the pulpits of mosques deriding anyone who did not agree with them in the Committee. They do this without explaining the recommendations and their justifications proposed by the Committee itself. Instead, the ACJU is abusing the Friday pulpits to incite people against reforms saying these would be in violation of Shariahlaw. Many of those who hear them proclaim this, have no way of knowing that they are being lied to. The President, The Prime Minister and the Cabinet of Ministers must step in, act fast and give direction to reform this archaic and discriminatory legislation. Otherwise, they will be knowingly propping up a discriminatory structure that violates the spirit of the constitution and commit collective discrimination against the Muslim women of this country. “why are the Quazi Courts so corrupt?” – Poor you, how could you say the 2 reasons: 1- Quazis are Sri Lankans 2-Quazis are also Sri Lankan Muslims. RE: MMDA Reforms Need To Be Implemented With Or Without ACJU Which Does Not Represent The Community. Thanks. Yes. They represent the interests of the Ulama. ACJU is All Ceylon Jamatul Ulama, not All Ceylon Muslims. This question is still being asked and the Ulama keep saying MMDA is perfect, for them, and therefore perfect for the Sri Lankan Muslims. I am shocked by this scathing attack on one of the oldest leading organisation of the community – namely ACJU. This article has nothing to do with MMDA rather a vitriolic run down on ACJU. Before responding to the accusations, though I am not a member of ACJU, I would like to ask the erudite writer where in the world did he get this notion that “MMDA ….. is misused/misapplied by ulemas to make girls victims as they are given in ‘marriage’ easily to fun-seeking foreign ( mostly from the Gulf) men mulch older and, in some cases married to many others back in their countries.” – as much as I am familiar with the grass root level girls and women, I have not come across a single case where any ulema did anything of the sort. I would expect the writer to give actual details of such cases if there are any. Or else he is committing a grave slander against the ulemas of this country. That being said, yes it is true ACJU is far from a perfect organisation of theologians but it is unfair to expect it to be, since we are in a country which has various aqeeda and anyone passing out from any madrasa, not only from Srilanka but from any country, can become a member of ACJU – so it is anything but homogeneous – as it will consist of ulemas with a variety of views on any matter and usually the view of the head of the ACJU prevails or is presented. However, the Srilankan Muslim community has no proper leadership. Politicians have miserably failed to give leadership and even organisations such as MCSL and NSC are sorely lacking in leadership due to various reasons mainly due to a lackadaisical attitude and lack of perseverance in any matter. Obviously knee jerk reactions, that too, very delayed at times, only when some problems crop up and then going into slumber back again, is not a sign of leadership. The ACJU is a defunct organisation of political hacks.The so called ulemas are not religeous scholars of any repute; there is none if any of international repute in SL. ;they are mostly influenced by old Arab Bedouin culture. Educated S L Muslim Women demand changes to the defunct MMDA(1951) and Justice SM in his wisdom has proposed constuctive changes; but the all too politically powerful ACJU is stalling legislation. This is what typically happens in a BANANA REPUBLIC. I am shocked that you are defending ACJU who said that the MMDA, as it stands, is perfect. What does the MMDA give Sri Lanka Muslim women and girls? Dr. Mareena Refai,, are you a women? 1. Treats women as chattel( “badu”, things) of men, father, brother, uncle etc. 2. Women and girls of 12 or under can be married off without theit consent. 3. A man can get a second, third and a fourth wife without the consent of the first wife. 4. Women inherit only half of the parents wealth. 5. Women cannot be Qazi judges however qualified they are. 6. Men can divorce women with or without reasons. ( Recently in the Western Province, Kaluara District, the father in law stabbed the son on law because he simply wanted to divorce his daughter. making use of the provisions of the MMDA. Dr. Mareena Refai,, are you are mot a woman.? So you do not understand the issues. Have you heard the term Travesty of Justice? That is what MMDA is all about to Sri Lankan Muslim women. It is the duty of the state to protect its citizens, male and female alike. a miscarriage of justice; an act of the legal system that is an insult to the system of justice. Also, Political Hacks appointed as Quazis. I salute you for speaking out against the medieval MMDA. Let ACJU go to hell. Enough is enough. A country cannot allow a section of its people to be treated as subhuman in the name of religious freedom. MMDA should be thrown out. There should be only one law in the country. Maithri and Ranil should realize now it’s too late for any vote bank to save them. At least try to go down in history as you did the right thing. ACJU is a fundamentalist, religious organization. Run by Islamist fanatics. Why do we allow a bunch of uneducated religious nutters, who believe in medieval fairytales as scientific facts to hold a section of Sri Lanka’s daughters to VOTE BANK RANSOM? Are Sri Lanka’s Muslim women a 2ND CLASS? Are they not entitled to basic civilized human rights? TO HELL WITH ACJU! DISMANTLE MMDA NOW! Thanks for standing up to the one of many religious nutters. I would appreciate if you would also please make your displeasure at other religious/political nutters such the Mahasangha known to them whose interference in every aspect of human life in this island is dragging this country to the bottom. Not many would add their displeature against Maha Sanga or ones behave like MONKS, but in the reality they just fake monks: lIKE for example Galbaoda Aggressive Monk. ACJU, Wahhabi-Salafis and heir clones are already booked for Hell, per the prescient Hadith of Najd. So, the are doing the bidding of the Devil, Satan, Iblis until the last day, when they will be sent to Hell-Fire, per Islamic Theology with the Devil, Satan, Iblis. Good to say ACJU does not represent Muslim community . They look for solution in the books of middle age for the problems of 21the century . Reformation is a must to give some freedom and justice to all Muslim girls in Sri Lanka . Which book that you had referred as out dated and in the middle age that doesn’t suit the problems of 21st century ? Prophet Muhammad is the last prophet of Mandkind and the Quran is the last revelation of the Creator to Mankind until the Doomsday…. If all scientifically established facts which was discovered only in the last century or so fits by inch to inch with The Miracle of Miracles Holy Quran which was revealed 1500 years before, why it can not suit the the Rules and Regulations of the Holy Quran to this century ? May The Almighty Craetor Bless you and your family !!! MMDA and ACJU are two different issues. MMDA is a issue for the entire Island. Like keeping Tamils’s issue open, this should remain open for Ranil, Old King, Athukorala… to keep their politics going. They will not resolve this. Tamils should wholeheartedly fight on this. Discrimination existing in one corner strengthen it in another corner. Especially Sinhala politicians’ main defense is “USA doing it, Singapore doing it, Sirimavo did it….” They will never correct when thing is found out to be wrong. ACJU has become arrogant organization. It is not a elected body. It doesn’t reflected the community view. Even elected Muslim politicians are backed by thugs. Their politics Mannar, MullaiTivu, Ambarai is based on Thuggery. This will easily guide to dangerous end. World supported government on Tamils issue but turned against it only after Hangbangtota sale. That will not be the case if Muslim youth are guided in wrong direction. All international UAV will be flying over Colombo and all international Tanks will roll in Kathankudi. . Amendments to MMDA is long overdue. Matrimonial crisis within Muslims are best known to lawyers for they are often consulted by one party or other. Lots of changes can be brought within the ambit of sharia law, taking into consideration the unislamic culture in matrimony, and abuse of the previleges given to men. Some extremists feel saying “Talaq” at the height of one loosing his temper cannot be revoked. Current MMDA doesn’t provide permanent alimony to the wife except maintenance for children. Quasi should be empowered to summon employers, whether private or public to evidence in respect of husband’s income etc. Well said brother Latheef Farook, these so called Mullas of ACJU apple polish the so called Muslim politicians and further political hierarchy to please them to get their aspirations fulfilled at the mercy of Muslim Umma. Respectable and highly qualified Justice Saleem Marsoof himself is much pious gentlemen much more than the so called ACJU members.So serious Muslims of this country should get together against this pseudo organization and reorganize it to serve the Umma and the to entire people and country for the sake of Allah. Thank you Latheef Farook for pointing out the counter-progressive stand of ACJU. ACJU has strongly opposed any amendments to MMDA1950 stating that it is of divine origin and “perfect in the present state”. Religions are human interpretation of ‘divine’ teachings. The ACJU interpretation of MMDA1950 is quite out of date. We had a misogynous world. We started shedding this evil (rather belatedly). We admit that misogyny is still around.Conservative Muslims exploit this and ACJU is at the bottom of the exploit-barrel. The optimist in Latheef says ~ “……..the president and prime minister……….wrongly believe that the ACJU controls the Muslim vote banks……….”. Sorry Latheef. Stands taken by Lankan Muslim MPs has to have ACJU stamp of approval. Time has come to take MMDA off the books. The following is the opposing Committee. Highly acclaimed members of society, who have served their country and community with distinction. Having scrutinized all aspects of the proposed changes, they have produced their own report on why the said Law must continue and remain unchanged. This has nothing to do with trampling on women’s rights and harming young girls by marrying them off at very young age. Only a comparative study will reveal true facts. Although the world will adapt to modern social norms, Islam does not need any kind of reformation and modernization, as it was meant to serve all of humanity for yesterday, today and tomorrow. Marwan Nobody can reply to your comments. So, never in the time in CT you accepted the sky is blue and the earth is Green. That is not just Obstinate, perverse argument (Vithandavatham), but really it is pity for your inability to accept the world as it is, but always convulsing to twist. ” This has nothing to do with trampling on women’s rights and harming young girls by marrying them off at very young age. ” If it looks like a duck, swims like a duck, and quacks like a duck, then it probably is a duck. I guarantee you, that is what it is. Nothing else. That is why most of the men in that commission has insisted on it and women opposed it. Sir, a private law has to fit into the country’s supreme law. Constitutional experts have to agree the format of it. The requesting party should establish (preferable by a referendum of 2/3) that the community they represents is requesting to the modification of the constitutional’s fundamental rights. Parliament has to debate and should approve it. Whatever damn go to parliament, the 8th graders has to discuss genuinely and vet it. Ranil should get the New Colonial masters’ commission distribute it to the like the date fruit distribution he does. It cannot be something that just the Mullahs write and impose on women. Can you tell when it is only women’s issue why men are in the commission? When it is about Marriage and family issue why religious people are there. I accept I individually not aware of the commission members. Can you identify Family Psychologists in that commission? Can you identify the Women and Children health and welfare specialists in that? Can you identify the Marriage and divorce lawyers? Can you identify the women rights group in that Commission? What the heck the religious leaders doing the family affairs? Do these women marry to live in the world happily in a family or just for being right away airlifted to Allah? ” Islam does not need any kind of reformation and modernization, as it was meant to serve all of humanity for yesterday, today and tomorrow. ” After reading that line, I feel CT has to start to issue licenses for who write comments here. Sorry man for the insulting words, but don’t be such an absolute dumb. You seemed to be troubled by three very honorable three nonmuslims contributing to the report. This “report” is chaired by a very honorable retired Justice of the highest court in S L ‘The Supreme Court who is a Muslim. You can be rest assured that there are many honorable people and just people in the non Muslim population of Sl; the Muslims are a minority and needs protection. ACJU have created and unleashed a bunch of cheap Spin Doctors’ to raise their voice for them in this MMDA issue, after throwing an Ifthar party last Ramadan (in June this year) where those lick spittle cheap media men who were treated to some porridge, pastries and something offered in a small bag by ACJU, have now jumped the bandwagon in a campaign opposing the govt. appointed committee, creating a kind of phobia among the community to an extent even Jumma sermons in many city Masaajids are politicized with this subject – as if the general public is having a say on this matter or will be required to vote – It is time that this self-proclaimed good-for-nothing organisation’s activities curbed and its members be disallowed to deliver Friday sermons, in the Island’s major cities, like Colombo, Kandy & etc. Pulpits are not ACJU platforms to push their agendas or play politics to create confusion & divisions within the community and chaos in the country. The Colombo Grand Mosque should spearhead the cause like they stepped-in and resolved the moon sighting. I think most Muslims will support LF’s assertion that MMDA should be implemented w/o without ACJU immediately. It seems the writer had fallen off track considering the topic I was expecting a well constructive article regarding MMDA but unfortunately a prominent journalist has been worked his moves on his Blind Side either purposefully or be influenced. The complete article which actually a critic of ACJU reveals how far this body represent the Muslim community of this Nation, finally the writer has insist the Civil community to act independently which is a solid proof that the community has been guided buy this highly influential body at a considerable level and some sources needs to destruct the concerns of the community which stand on a common platform and create frictions and divisions amongst the Muslim community similarly the political arena of the sri lankan Muslims. So Mr Latheef better u next time use your own thoughts views and researchers when it comes to a community concerned write up than making the freedom of expression a weapon of counter attacking upon your personal interest. Wow! I presume you are neither an ulama nor a mowlavi! Neither am I ! Your insistence to critize PEOPLE is not a welcome thing to do or rather it should not come from a learned person like you ! If you are of the opinion that the so called ACJU is a basket full of uneducated and not religious people then you must suggest the names of a few Islamic scholars like say Dr Shukri and other God fearing learned ulemas to express their fatwas , not opinions on this important matter! I insist fatwas and not opinions since you take responsibility with god when issue fatwas ! This is what ACJU has done!! Go and meet them learned people like Dr Shukriya ,interview them and publish those voices rather than voicing your own in which you are not an expert ! Please do not interview intellectuals because they are not expert on fatwas !Do not quote previous events instead go to the root to find what the religion says! How did you come to CT? You have a special green Card to deliver special messages? ” Do not take risk of your life in the hereafter! “ Just a rotten Kerala Ganja junkie it seems, aren’t you? We’re in a weird world where anybody can write anything and go scot-free under the pretext of ‘FREEDOM OF SPEECH’. When Salman Rushdie & Thasleema Nasreen had their writings admired, why not Latheef Farook – A notorious way of getting cheap publicity ! Let him know that whatever he writes, the MAJORITY of the Muslim Community in Sri Lanka has great respect for ACJU and readily follows their religious guidance – whether he likes it or not. If Latheef Farook really cares for the Muslim Community, come forward & do something, rather than criticizing those who contribute to the society. At least, why not go to ACJU and meet the scholars and share his views with them. Poor chap… wasting his God given blessing of ‘writing skill’ to destroy the community. Mr Latheef has voiced the opinion of many intellectuals whose voices have been stilled becos of the dominance displayed by the ACJU Ulemas using the Friday pulpits. ACJU is a dictotoral organization with Mufti Rizvi not allowing anyone else to be elected as President . Under his tenure, ACJU has been politicized. Mr Latheef has been a foremost writer who has spent his time, energy and money for the sake of the community to ensure that community interests are safeguarded. So don’t talk disrespectfully of that great activist . Go and read his books if you are not sure. “You hypocrite! Do you have the true faith of the Kalima. This is how some of the educated Muslims give missiles to anti-Muslim group to use against your own community by writing to newspapers that are widely read by non-Muslim majority.